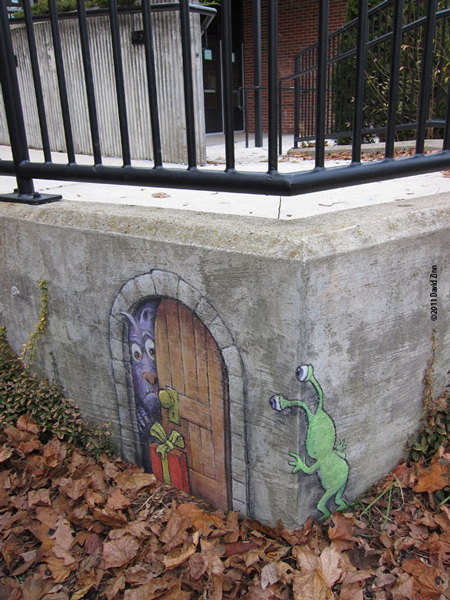 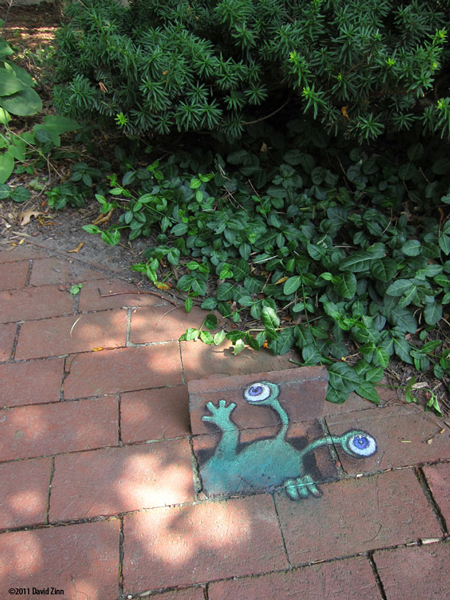 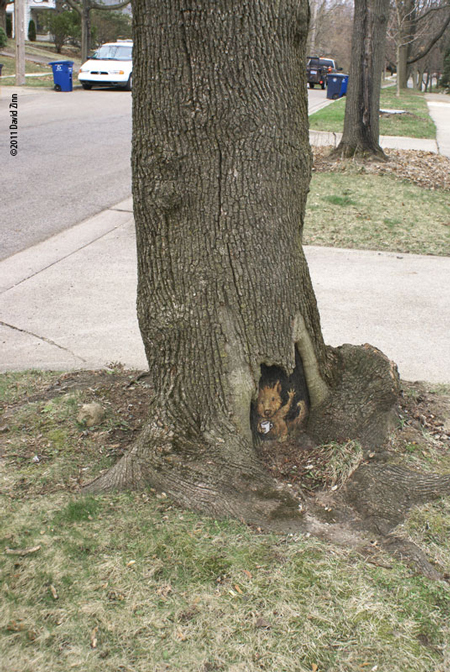 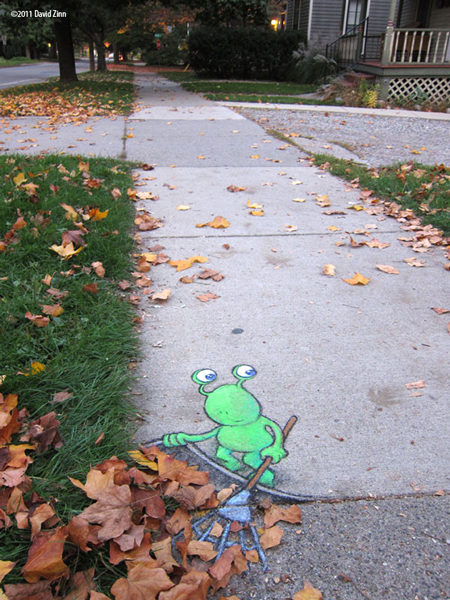 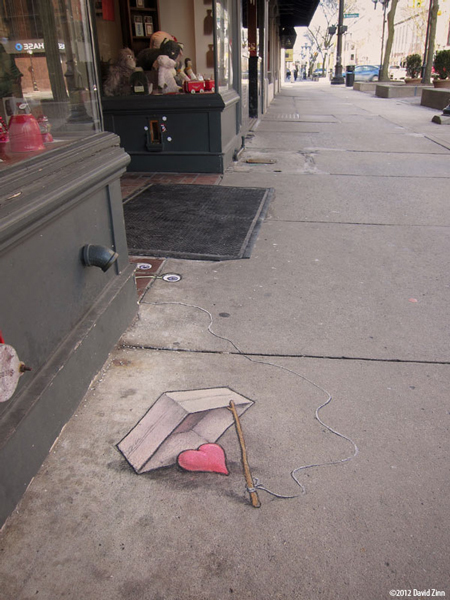 David Zinn is a Russian artist that has been creating original artwork, on Ann Arbor street. 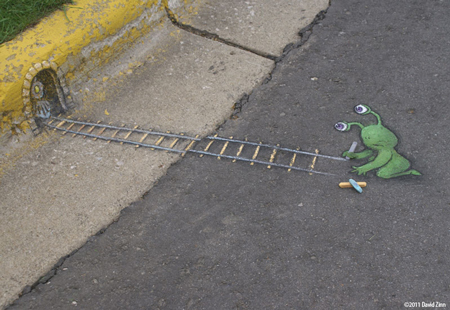 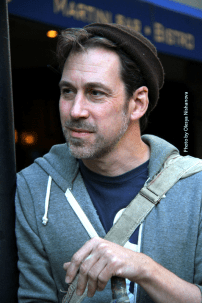 His art is composed entirely of chalk, charcoal and found objects, and continuously plan on location. 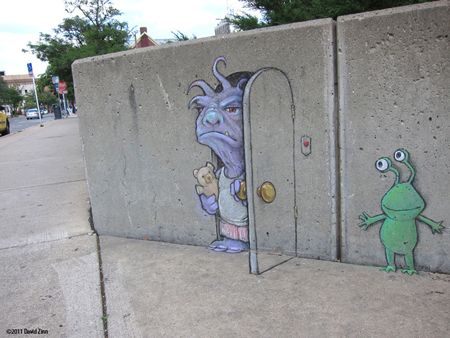 His professional assignment have included dramatic posters, business logos, educational cartoons, landfill murals and superheroes.